15% OFF ANY SINGLE ON EBAY WITH COUPON CODE "PLAYTIME15"
Discard 2 cards, then target 1 Trap in your GY; Set that target. It can be activated this turn. 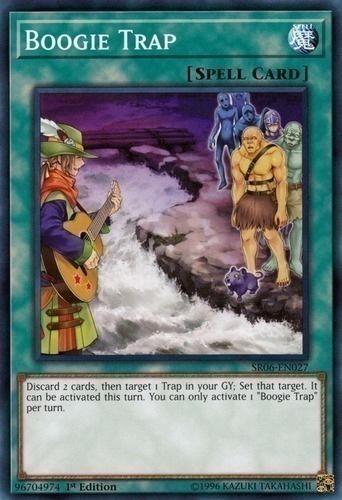 You can only activate 1 "Boogie Trap" per turn.